The U.S. Supreme Court will hear oral arguments Monday in a case from the U.S. Court of Appeals for the Eighth Circuit that likely will decide whether a Sioux Falls, S.D., newspaper should have access to food-stamp spending at specific retail stores. The U.S. Solicitor General, who represents the government in cases before the Supreme Court, filed a brief in support of the Food Marketing Institute and the retailers. The Solicitor General will also participate in Monday’s oral arguments. The Sioux Falls Argus Leader asked the U.S. Department of Agriculture for records that show how much federal money was paid to reimburse individual food retailers for purchases made by participants in the department’s Supplemental Nutrition Assistance Program, or SNAP, the new name for what was known as the food-stamp program. The Iowa Supreme Court has clarified two previous rulings that reached seemingly contradictory positions on whether police investigative reports must be made public under the Iowa Open Records Act. The clarification came in a ruling handed down April 5 in Jerime Eron Mitchell and Bracken Ann Mitchell v. City of Cedar Rapids and Officer Lucas Jones. The Court upheld a Linn County District Court order making public police investigative reports produced through discovery in a civil lawsuit filed by the family of a black man shot and paralyzed by a white police officer in a traffic stop. 1. Police investigative reports do not lose their status as confidential records under the Iowa Open Records Act when an investigation is concluded; however, the records law does not prevent civil litigants from accessing police reports through discovery. Thus, confidential police reports produced through discovery may have to be sealed by the trial court with a protective order. 2. The Open Records Act exempts from confidentiality police reports that give the immediate facts and circumstances of a crime, and trial courts should apply a balancing test prescribed by the records act to determine how far that exemption reaches into police files. 3. The Court reaffirmed its 1994 decision in Hawk Eye v. Jackson, which applied a three-part balancing test to determine whether police investigative reports should be released to the public. 4. And, the Court explained how the Hawk Eye decision differs from – and is yet consistent with – its 2012 ruling in American Civil Liberties Union v. Atlantic Community School District, where the Court said a balancing test was not necessary to conclude that the records in question in that case were confidential. 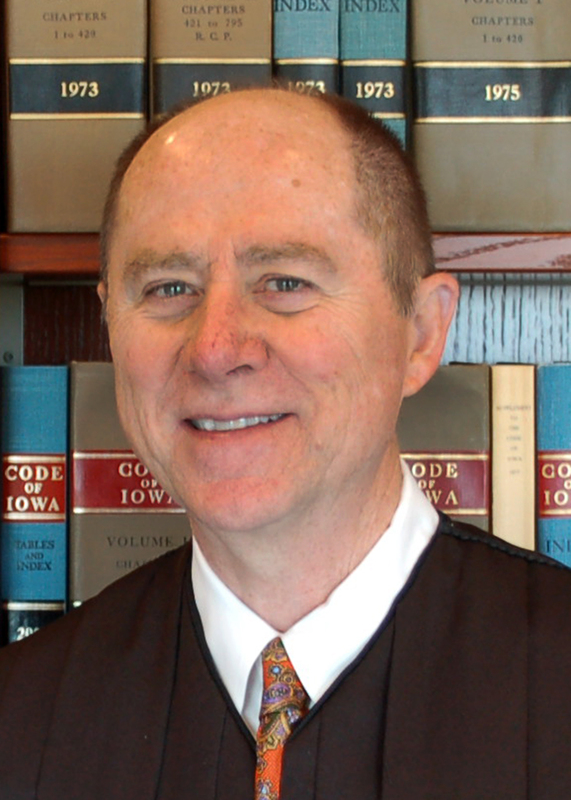 The Iowa Supreme Court is set to hear oral arguments in five cases on April 9, and nine other cases will be submitted to the court without oral argument. Three cases will be argued beginning at 9 a.m., and two will be argued beginning at 1:30 p.m.
Go to the On Brief Cases in the Pipeline page to read briefs in these cases. With the submission of the final 14 cases in April, the Court will have heard a total of 104 cases, including 12 attorney discipline cases. As of April 5, the justices had decided 54 cases. Assuming no last-minute cases are added between now and the end of the term, there will be 50 cases to be decided, or an average of about 4 decisions per day over the 12 decision days remaining on the calendar. Three years ago Rox Laird, a contributor to this blog, sat down with Iowa Supreme Justice Daryl Hecht for a rare on-the-record interview ahead of that year’s judicial retention election. The Iowa Supreme Court will hear oral arguments in Forest City April 2 in a case that raises for the first time a question about how Iowa law regulating approval of electric generating facilities applies to wind energy projects. The argument, which is open to the public, will begin at 7 p.m. in the Boman Fine Arts Center in Forest City. The Court will hear arguments in two cases, both of which involve Palo Alto County residents’ challenge to a plan by Palo Alto Wind Energy and MidAmerican Energy to build a 170-turbine wind farm spread over 100 square miles. Bertha Mathis and Stephen Mathis appealed decisions by the Palo Alto County District Court dismissing the plaintiffs’ lawsuits, one against the Iowa Utilities Board and a second against the Palo Alto County Board of Supervisors. An initial urine test by itself, without follow-up confirmation, was insufficient evidence for convicting a driver of operating while under the influence of a controlled substance, the Iowa Supreme Court ruled March 8 (State of Iowa v. Jeffrey John Myers). Myers appealed his conviction in Floyd County District Court for operating a motor vehicle while under the influence of a controlled substance. 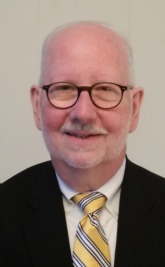 Myers argued the trial judge should have suppressed the State’s evidence of “possible presence” of a controlled substance in his urine because the initial urine test was not sufficient without being confirmed by a follow-up test. On further review of an Iowa Court of Appeals’ ruling upholding the lower court, the Supreme Court reversed the judgment and sentence and remanded the case to the District Court for dismissal of the charge. A couple of teenage boys are out for some dirt-bike and ATV riding at rural retreat when one of the boys is fatally injured in a tragic shooting accident. The farmhouse on the retreat where the shooting occurred is insured by a homeowners’ policy and by a separate commercial general liability policy. Is the issuer of the commercial policy on the hook for a share of a $900,000 settlement paid to the victim’s family? Yes, says the Iowa Supreme Court, in Metropolitan Property and Casualty Insurance Co. v. Auto-Owners Mutual Insurance Co., handed down March 8. 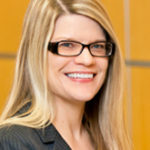 Jurors in a Pottawattamie County medical malpractice trial submitted a question to the court during jury deliberations about the meaning of instructions given to them by the trial judge for apportioning fault to a settled party, but the judge did not commit a prejudicial error by failing to clarify his instructions, the Iowa Supreme Court ruled unanimously March 1. The appellant, a 33-year-old resident of a halfway house following her release from prison, sued the halfway house and an emergency room doctor for failing to immediately diagnose her symptoms of a stroke, resulting in her partial paralysis. The woman settled with the halfway house prior to the malpractice trial, which was then narrowed to the question of the emergency room doctor’s liability. Based on Iowa’s comparative fault statute, the judge in the verdict form asked the jurors to decide if there was any fault by either the doctor or the halfway house and, if so, what percentage to allocate to either one. The Iowa Supreme Court entered the home stretch of its 2018-19 term March 1, with four months remaining before the administrative term begins in July. The Court has disposed of 38 of the 90 cases submitted thus far this term. The Court has scheduled five more days to hear arguments in March and April. The Court will hear arguments in eight cases March 5 and 6, and two cases will be submitted without oral argument. Following are summaries of those cases. Following are summaries of the March oral arguments. Go to On Brief’s Cases in the Pipeline page to read the briefs filed with the Court in these cases. 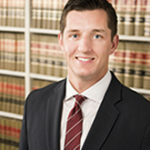 Scheduled for oral argument March 5, 9 a.m.
Justin Andre Baker seeks further review of a decision by the Iowa Court of Appeals affirming his conviction and sentences by the Black Hawk County District Court for possession of marijuana with intent to deliver. Baker argues the police seizure of his vehicle was not supported by articulable reasonable suspicion and challenges the legality of a search warrant based on evidence from that seizure. The Court of Appeals upheld the District Court’s denial of Baker’s motion to suppress in an opinion written by Chief Judge Gayle Nelson Vogel and joined by Judge Patrick Carr. Judge Mary Tabor dissented, saying the lower court should have granted Baker’s suppression motion.